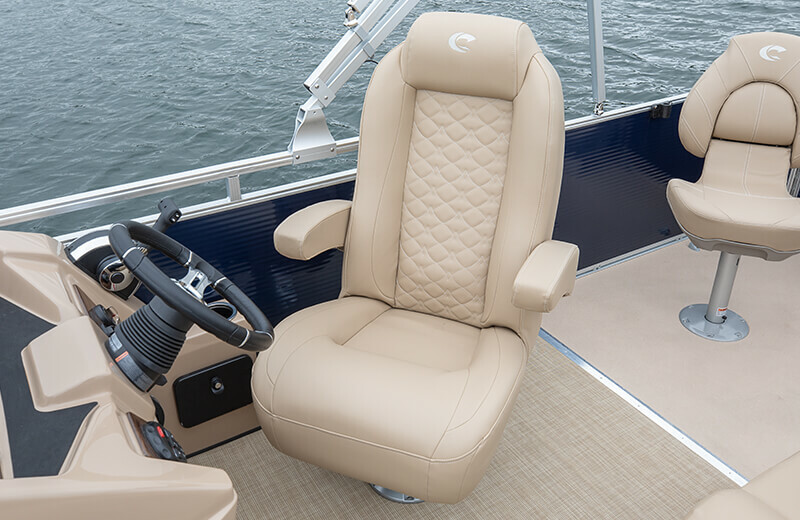 Reclining pillow top highback helm chair provides maximum versatility and comfort. 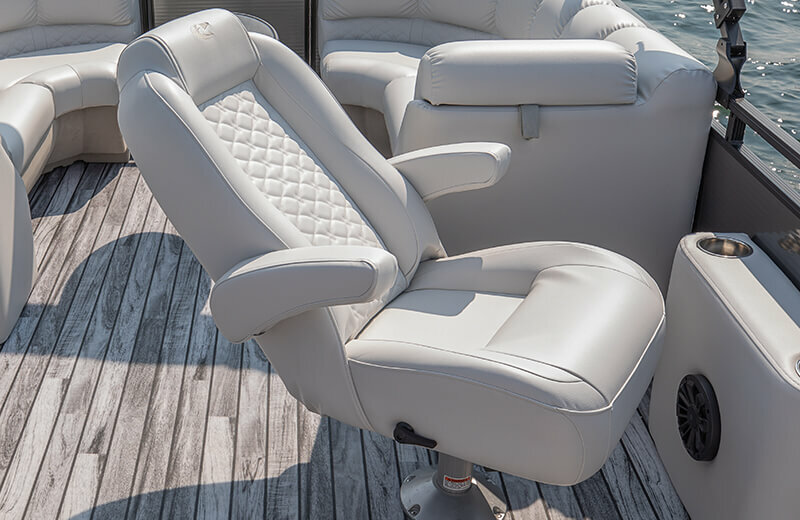 Includes swivel base, slider and arm rests. 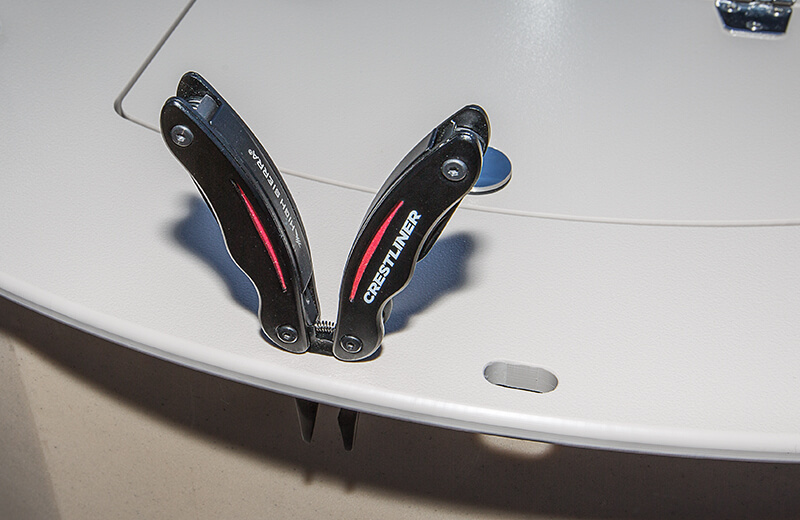 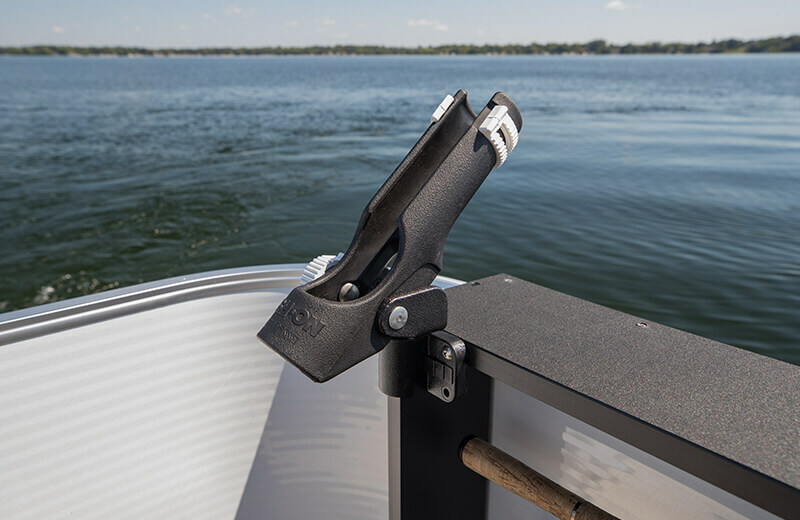 Stainless steel flip up cleats offer secure tie down points when up and a clean deck when down. 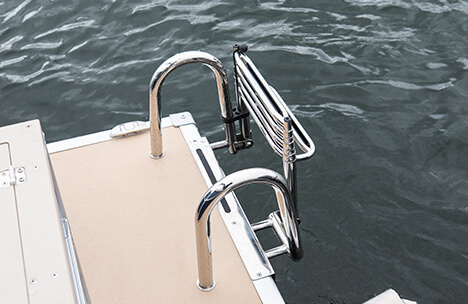 Telescoping stainless steel 4-step ladder provides extra support for getting in and out of the water. 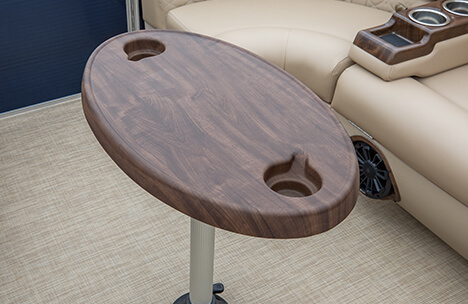 Enjoy a snack or drinks with friends around the woodgrain table. 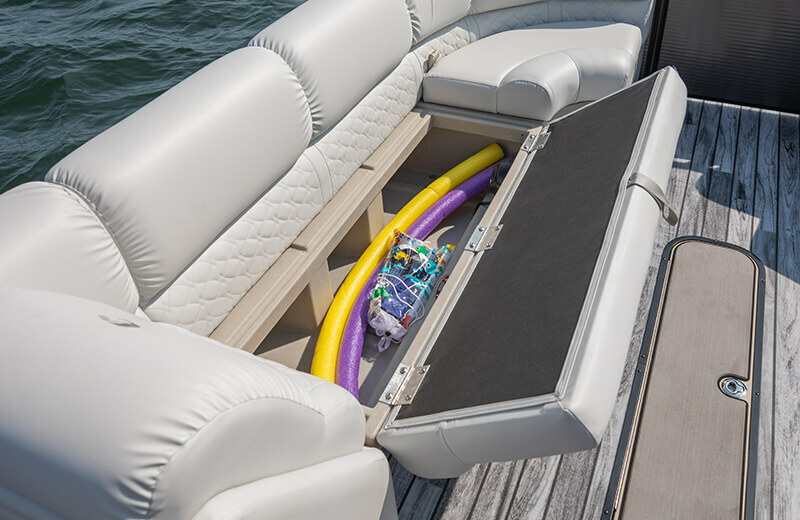 Base pole separates from table for easy storage when not in use. 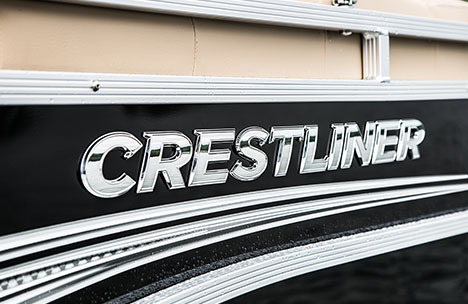 3D Chrome logo provides attractive styling. 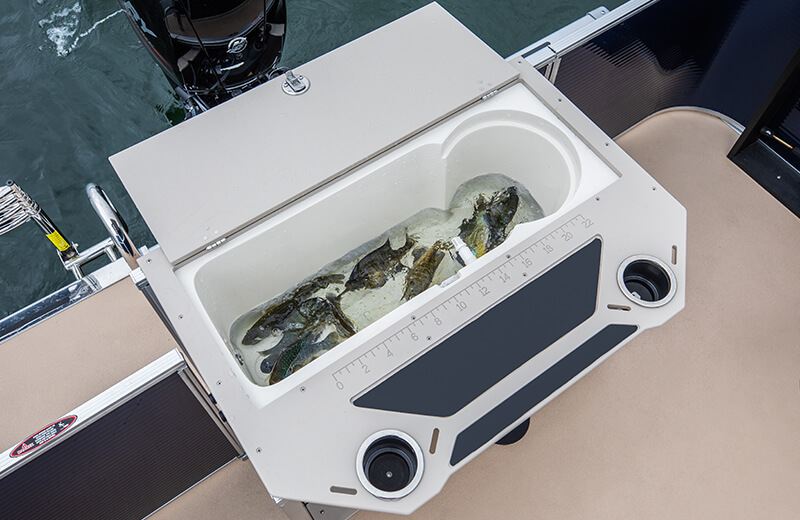 Fully featured fishing station includes a 15-gallon livewell with light and pump, washdown system, throw tray, tool holder & two drink holders. 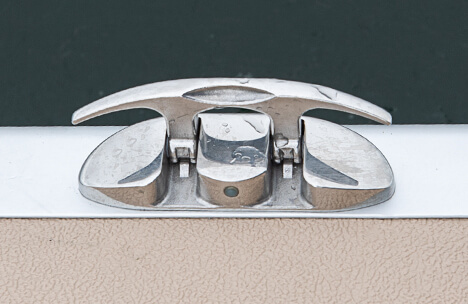 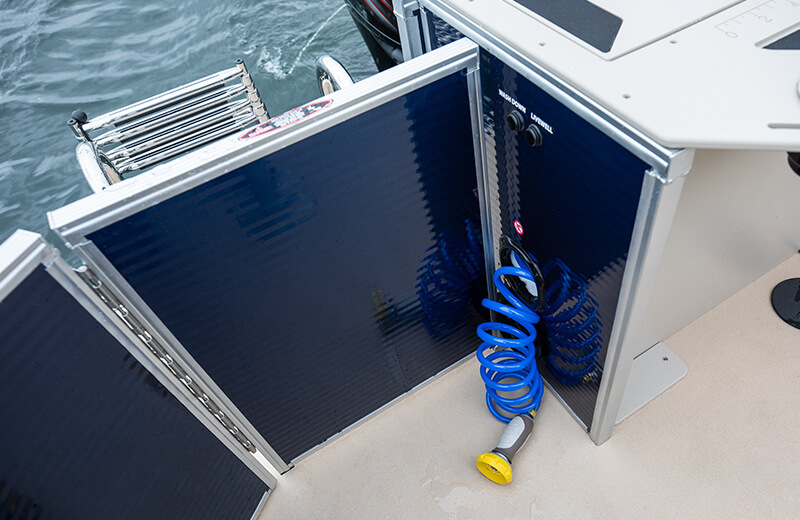 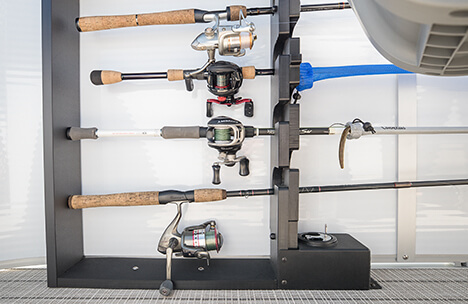 Locking rod storage keeps you rods secure and close at hand. 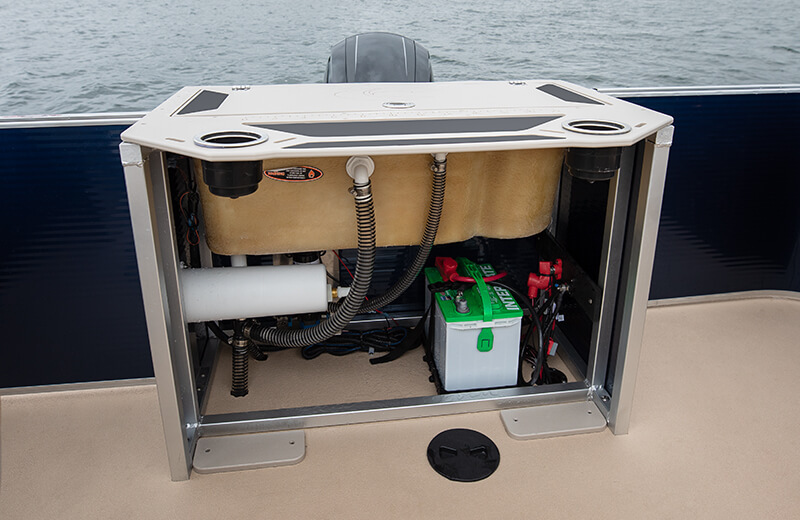 Includes 4 tubes with 8' capacity. 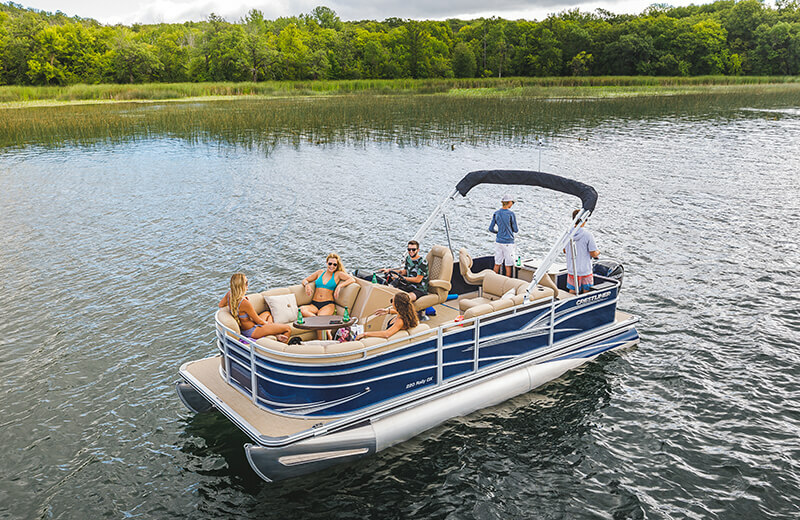 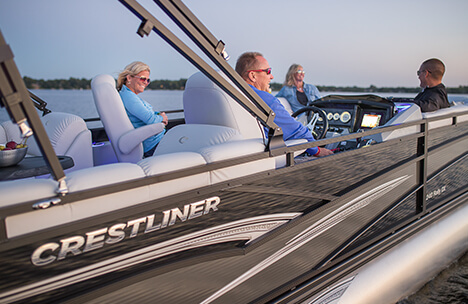 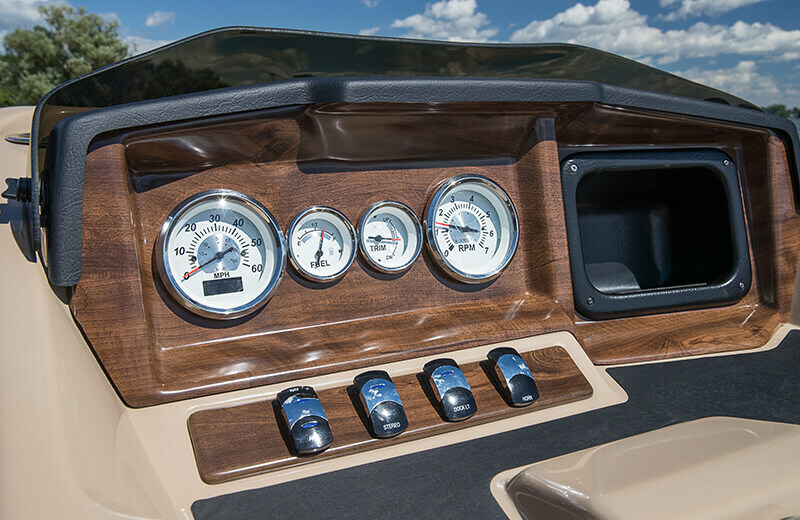 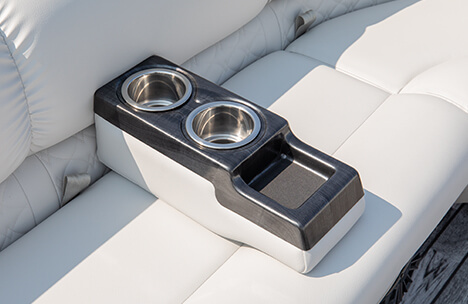 Extra mobile cupholders are convenient additions for days on the water with friends and family. 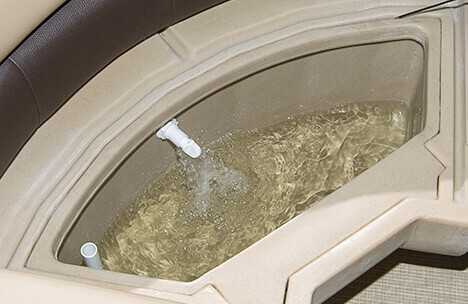 10-Gallon aerated livewell drops into the furniture and provides extra space to store your catch. 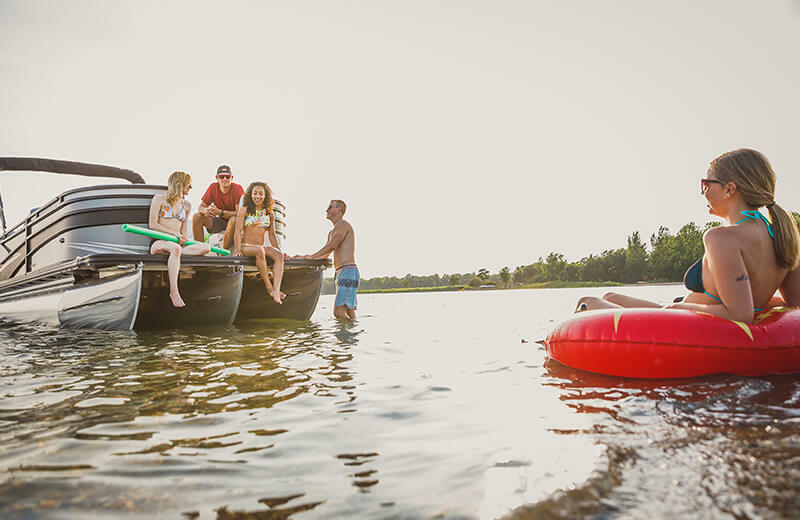 Stand out when the sun goes down with the optional lighting package featuring rope lights, lighted drink holders and lighted speakers. 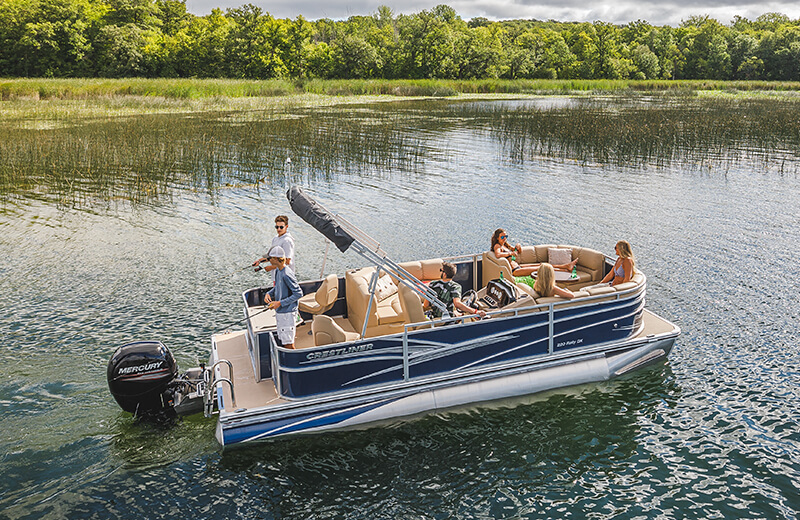 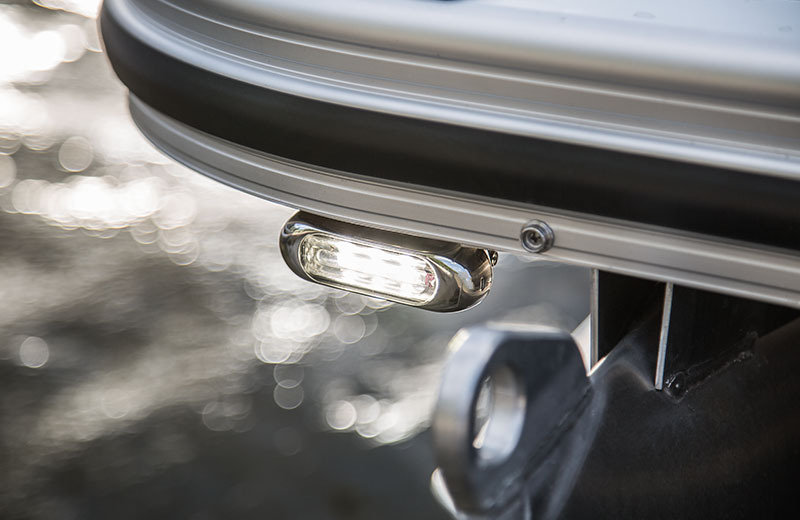 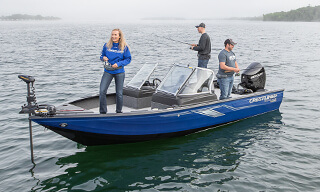 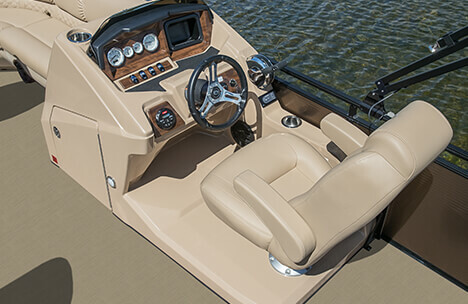 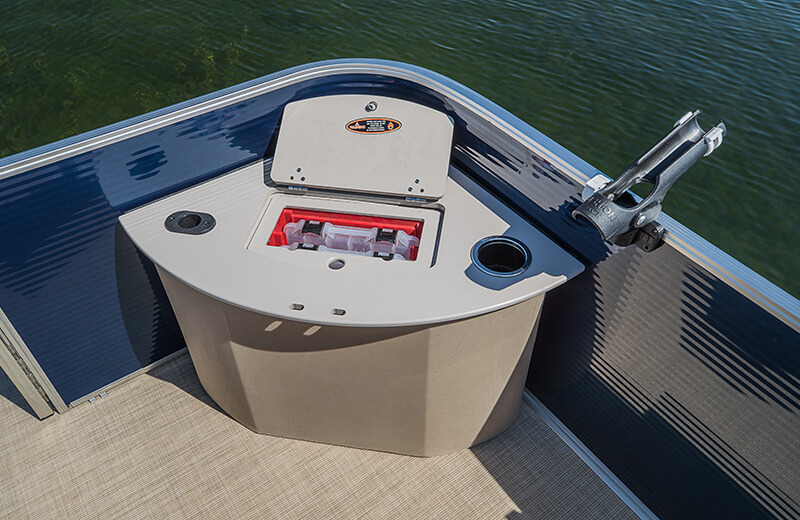 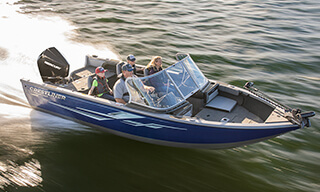 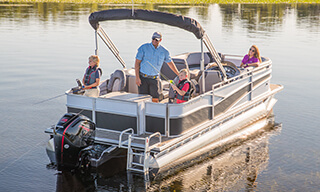 Spend the day trolling for keepers with the optional bow trolling motor and half gate. 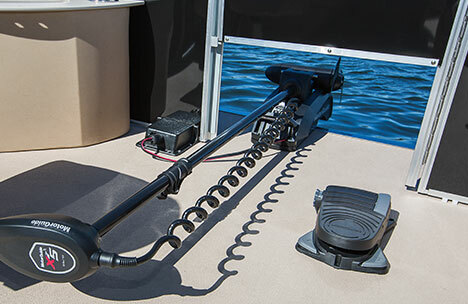 The V3 Action Package is perfect for more speed and water activities giving you 3 tubes and greater control in rough water. 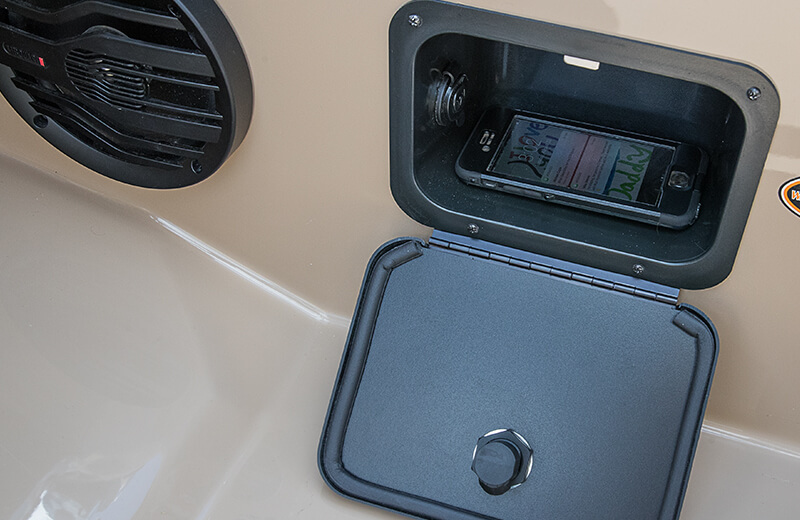 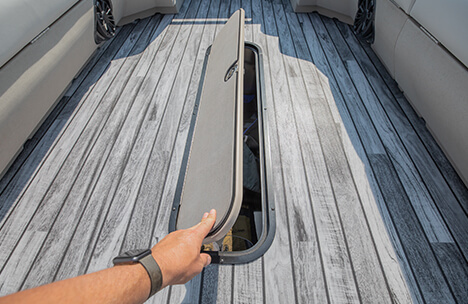 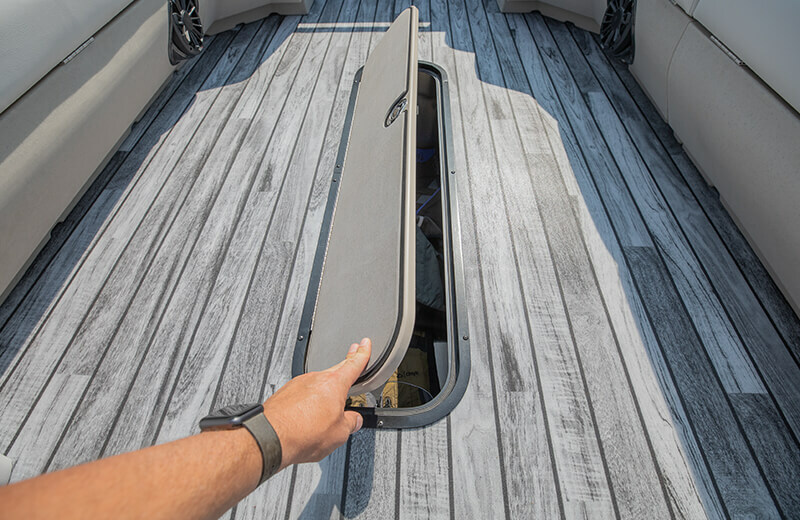 The V3 Ski Package adds the ski tow bar and in-floor storage. 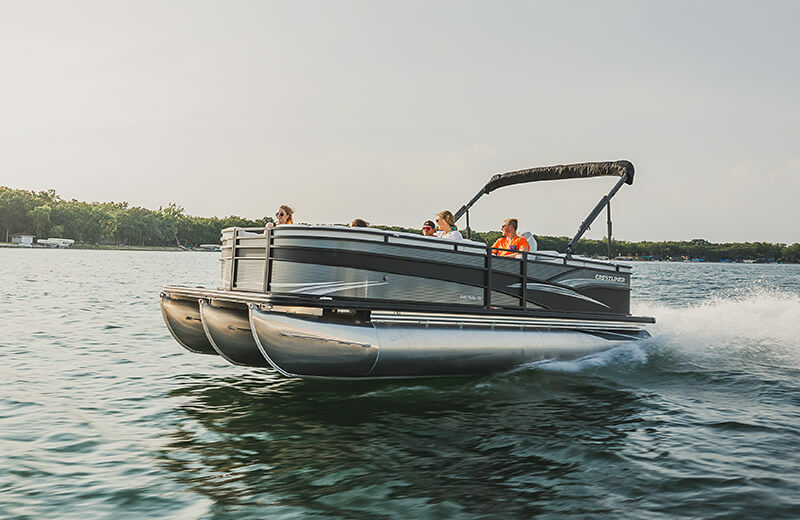 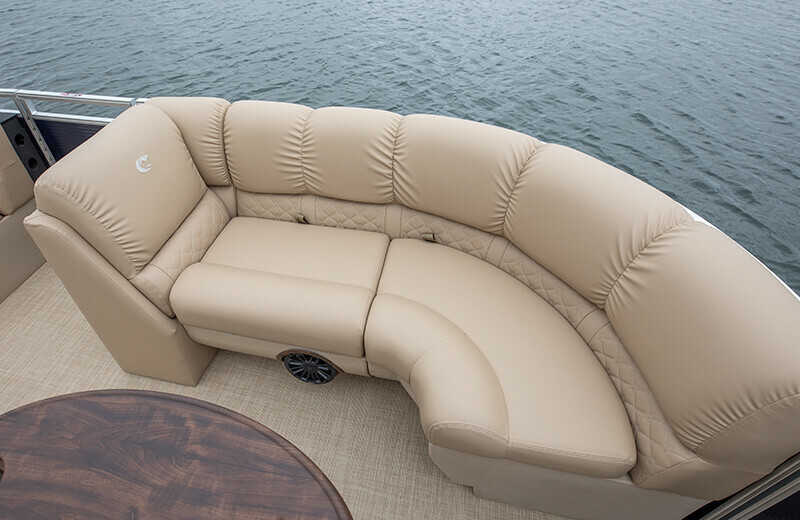 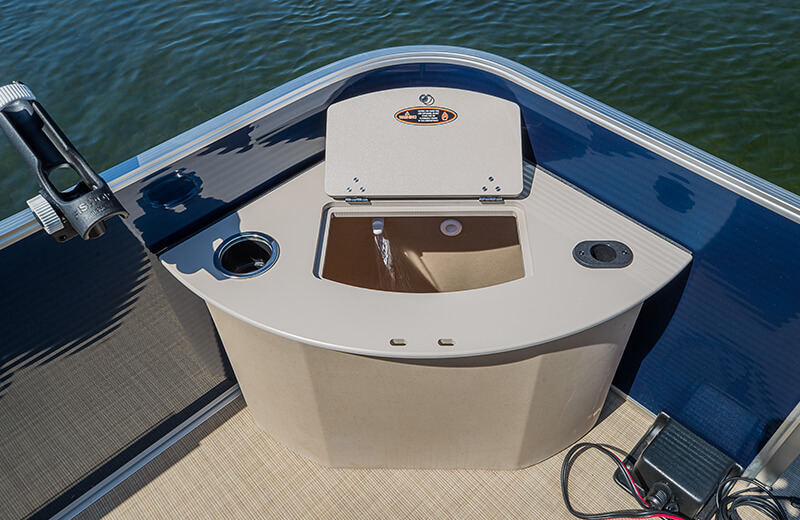 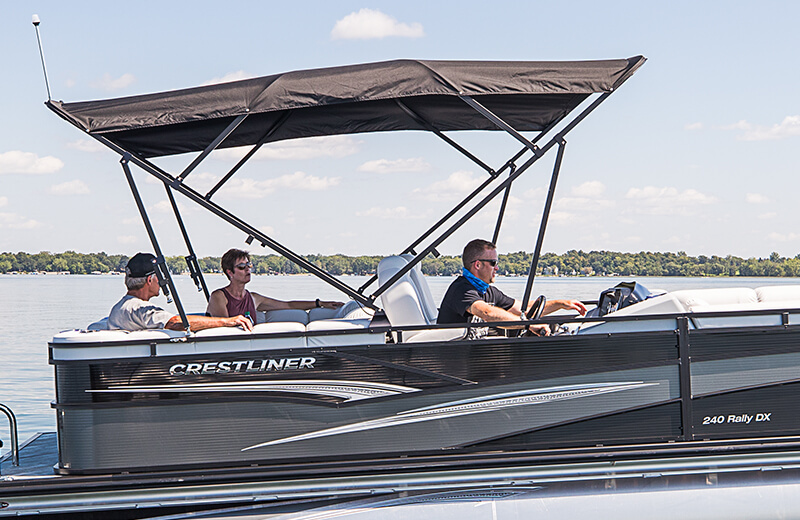 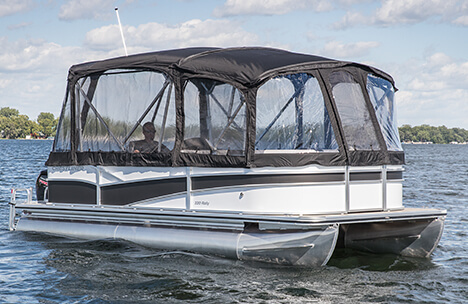 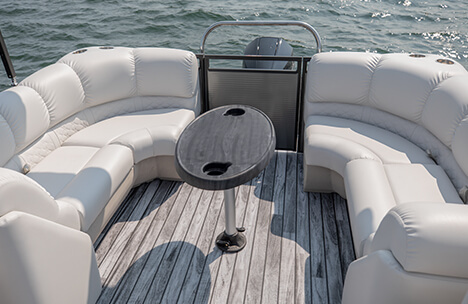 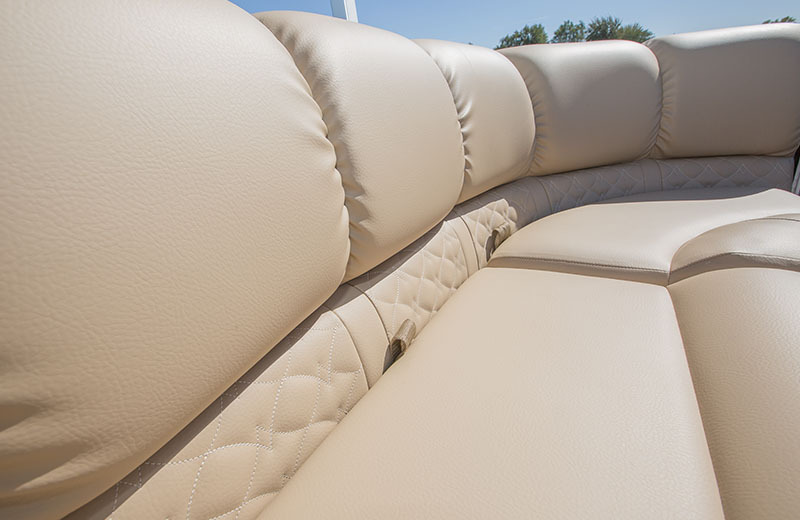 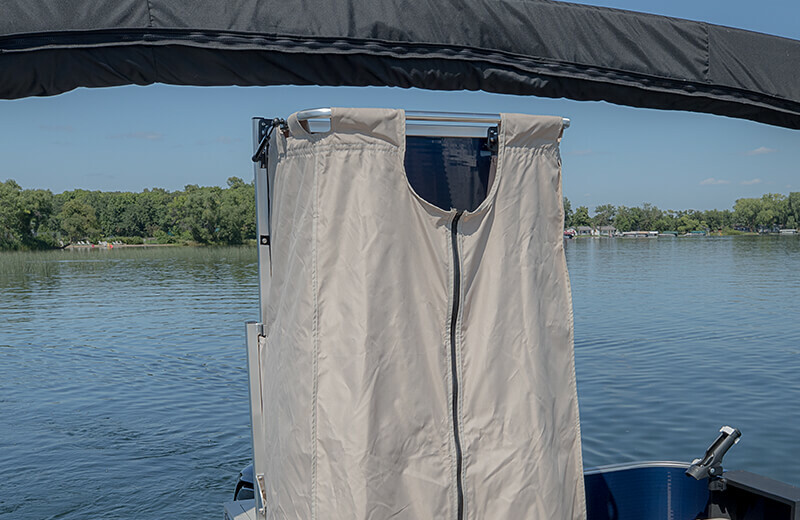 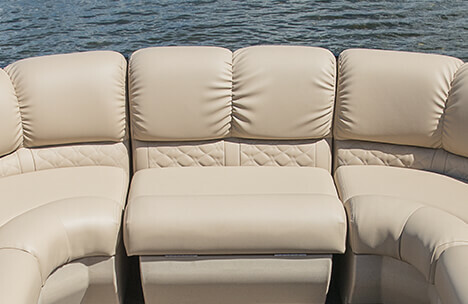 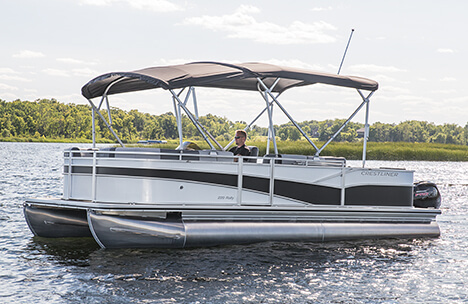 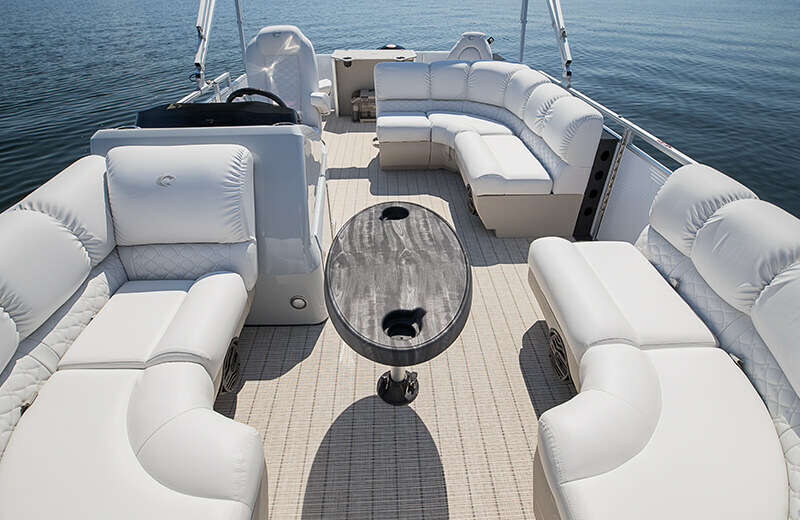 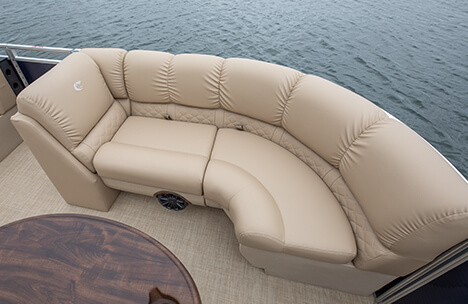 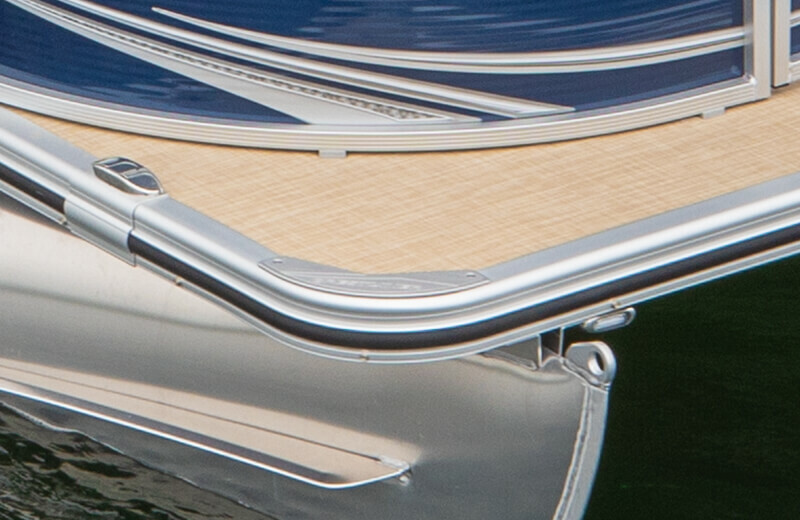 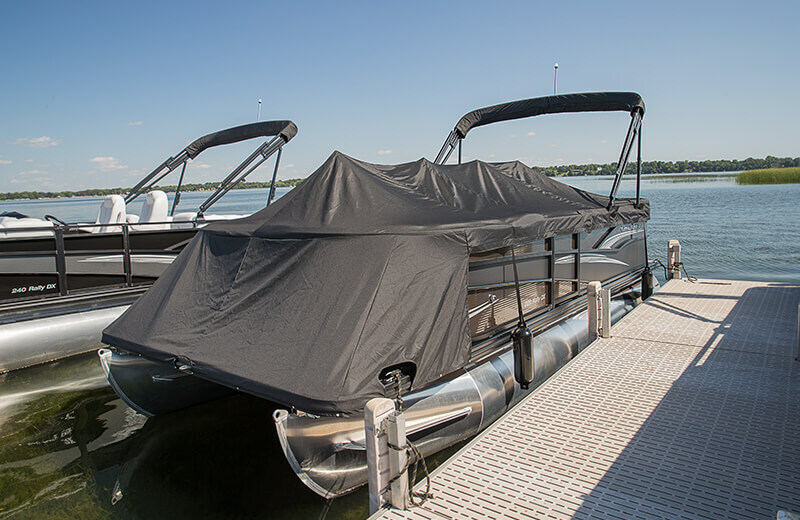 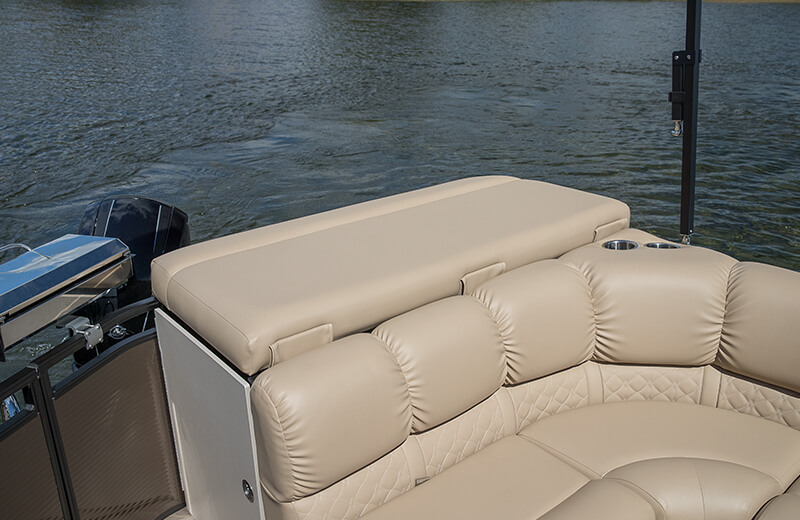 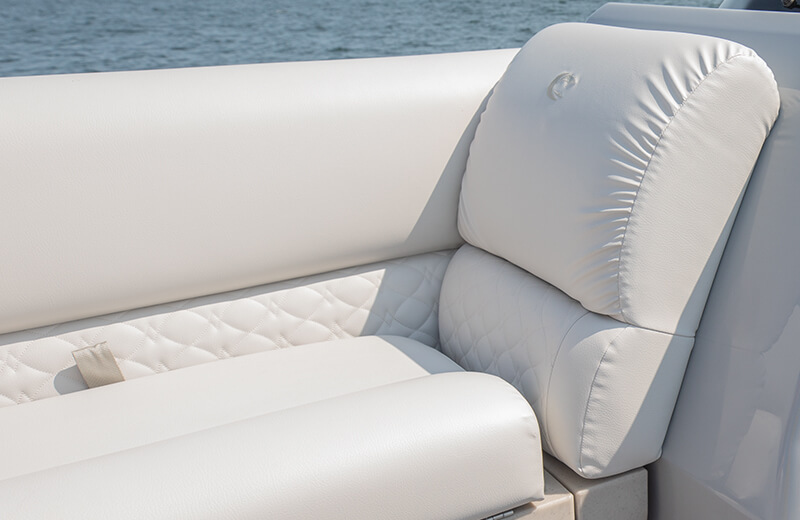 Add an additional bimini top for increased coverage on hot or rainy days. 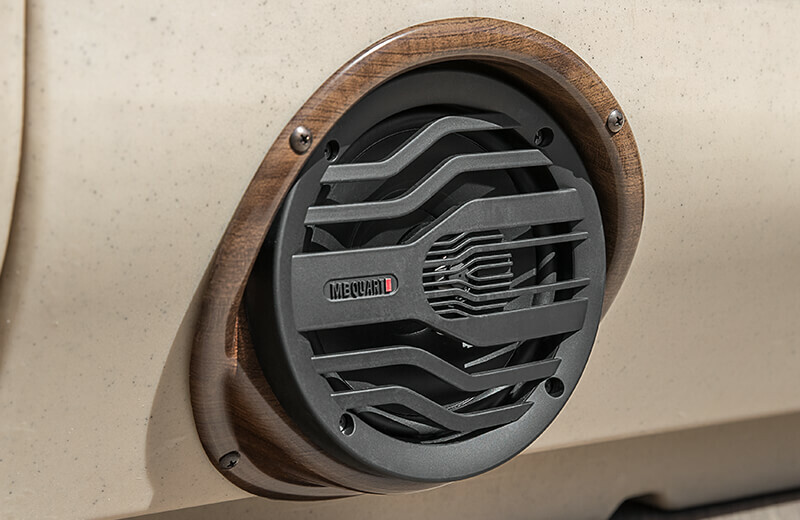 Bring the party wherever you go with the Deluxe Audio Package. 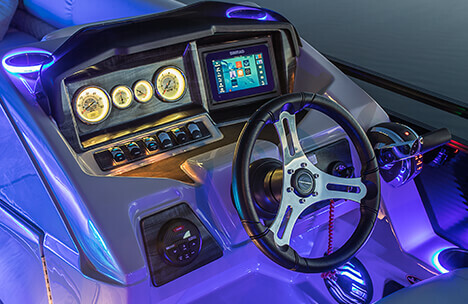 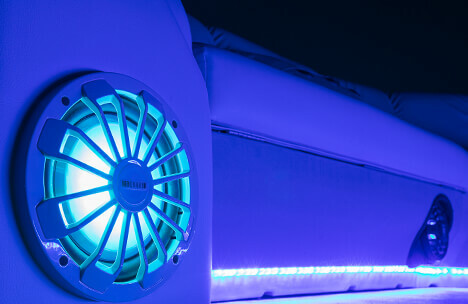 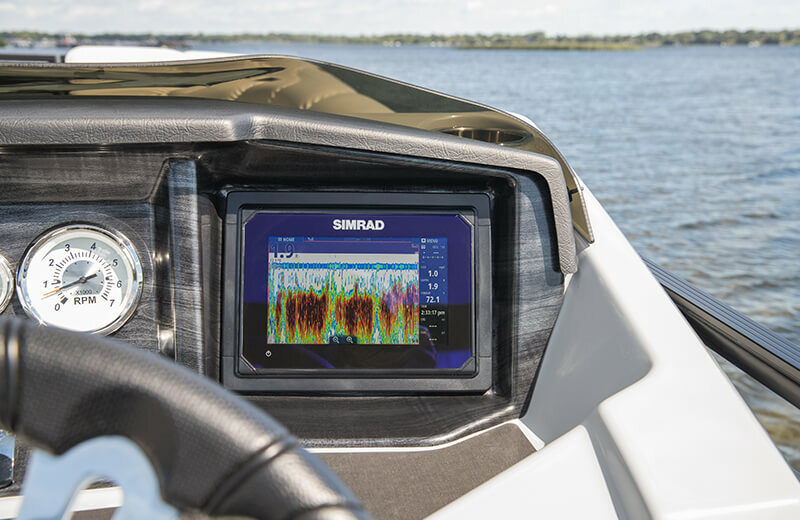 Featuring an MB Quart GMR-3 Stereo with AM/FM, Bluetooth capability, USB audio, charging & iPad/iPhone control, auxiliary plus 6 speakers, 10" lighted sub-woofer, amplifier and swim deck remote. 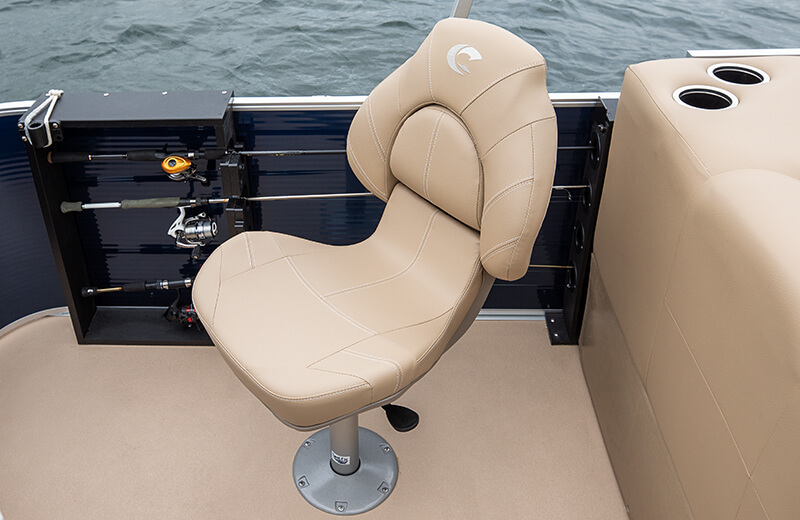 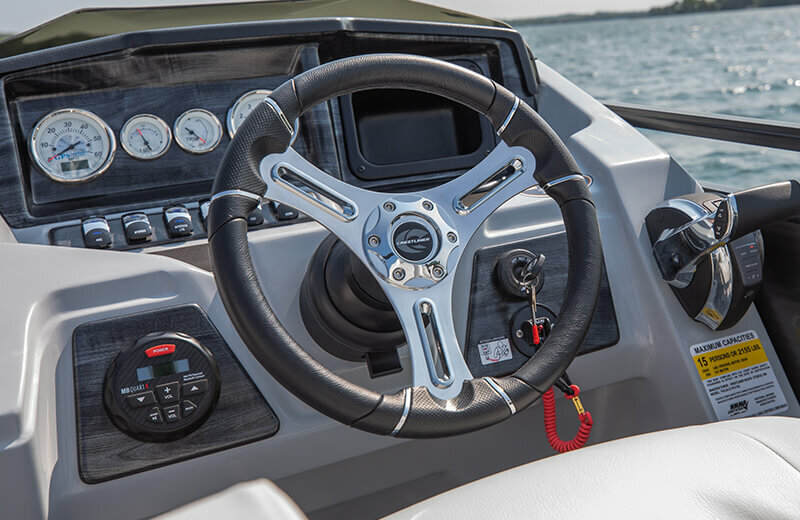 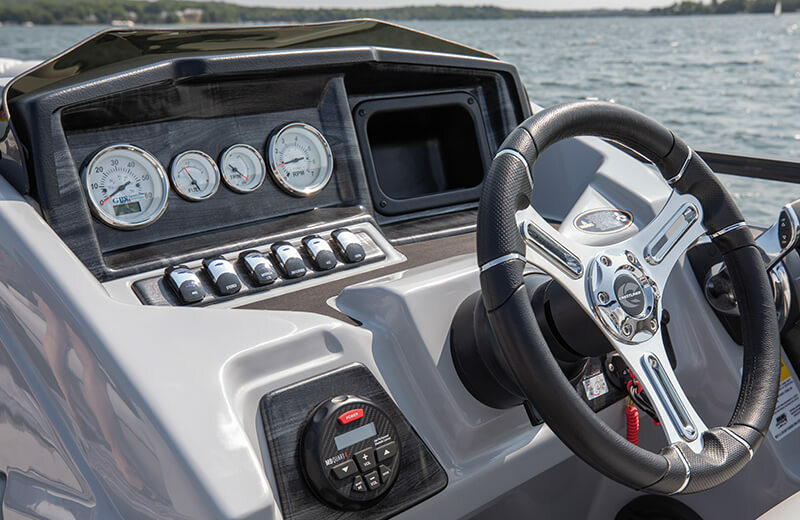 Navigate in comfort and confidence with the raised helm. 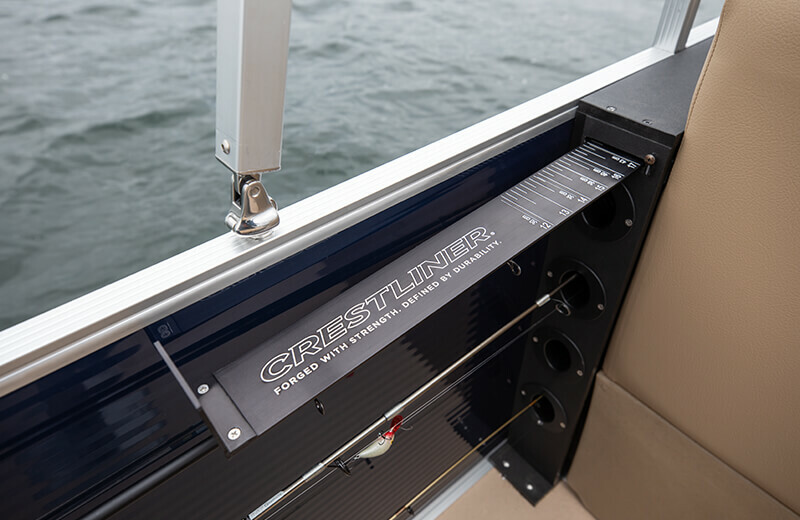 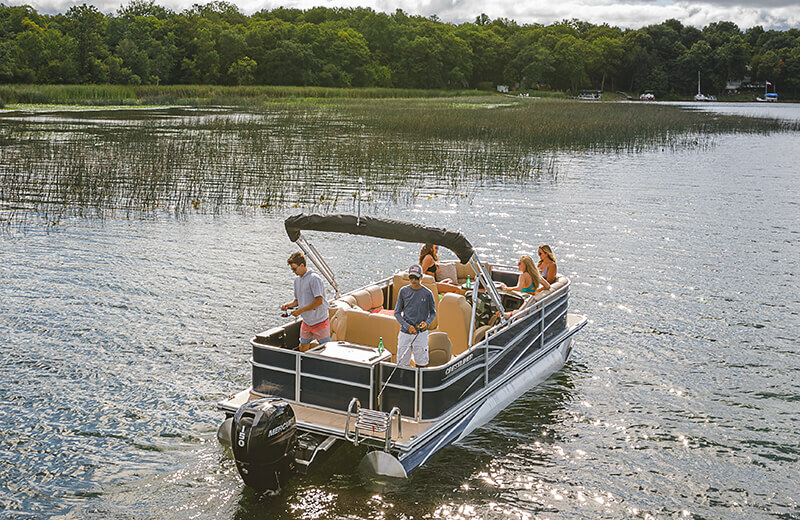 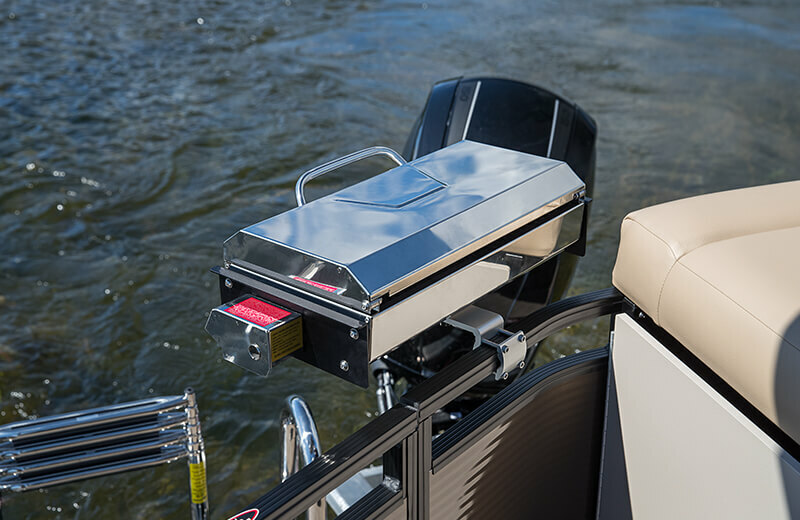 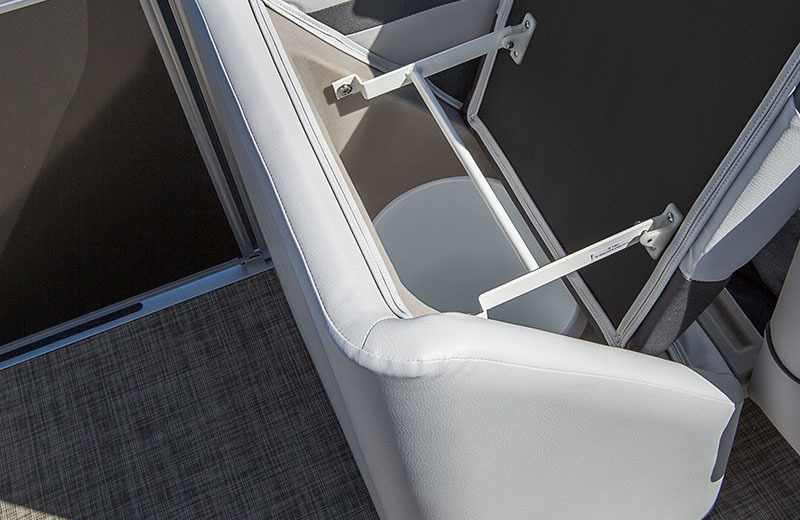 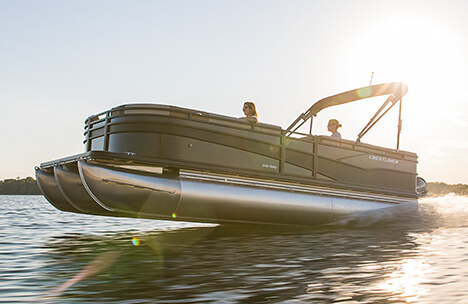 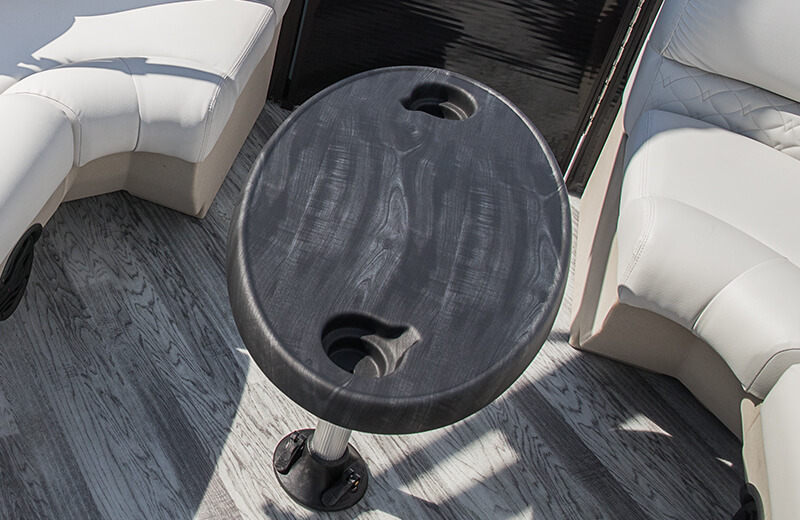 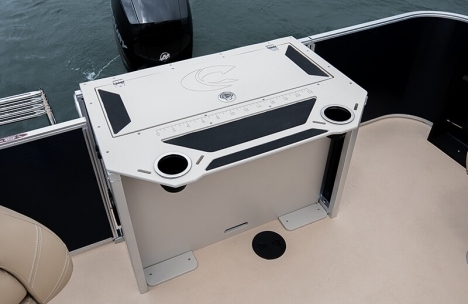 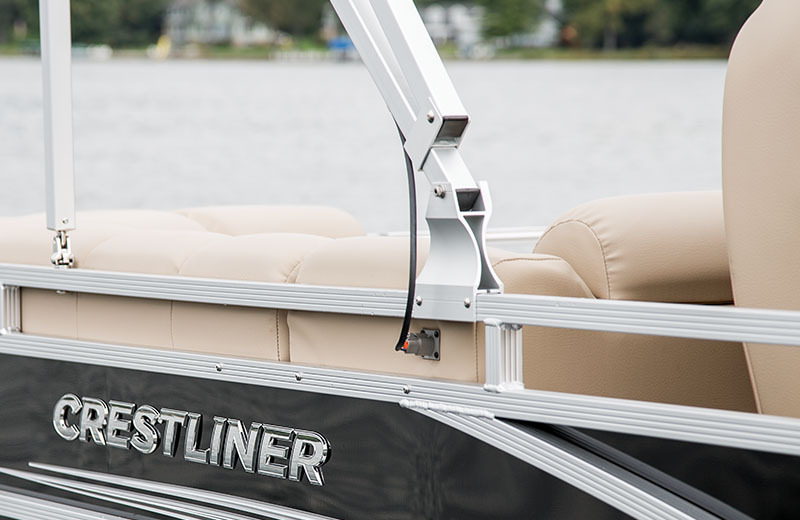 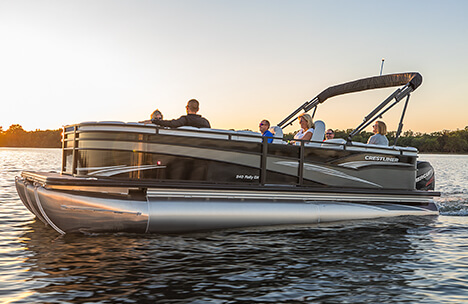 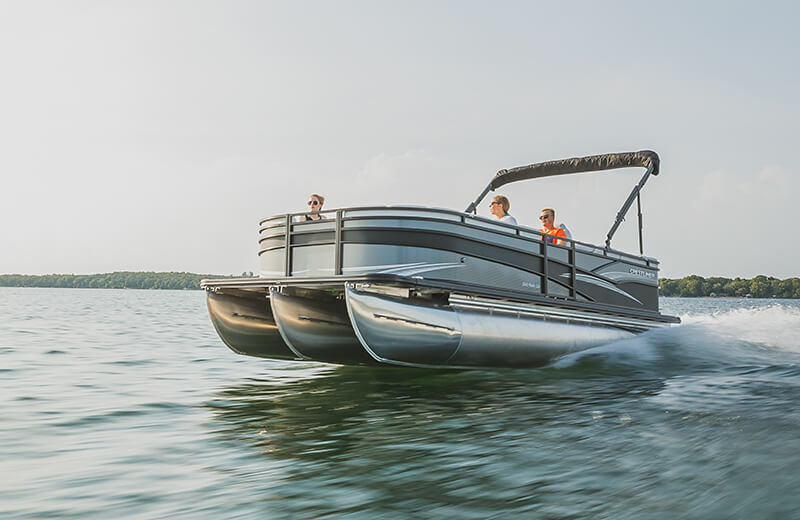 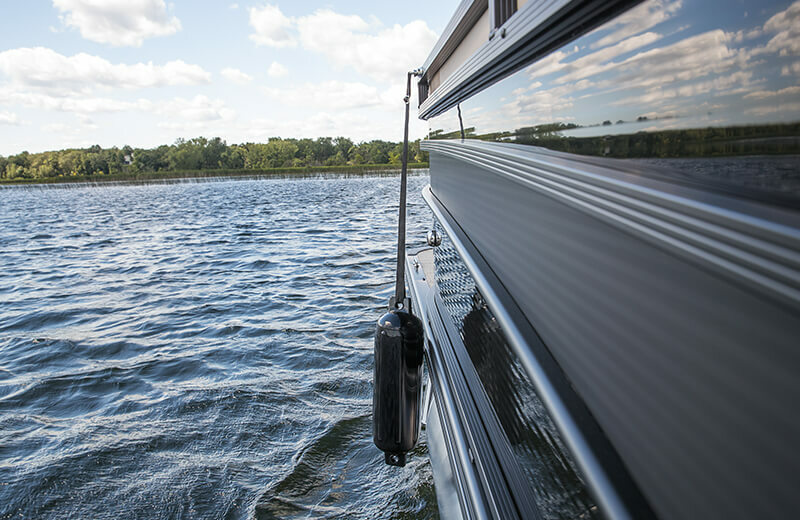 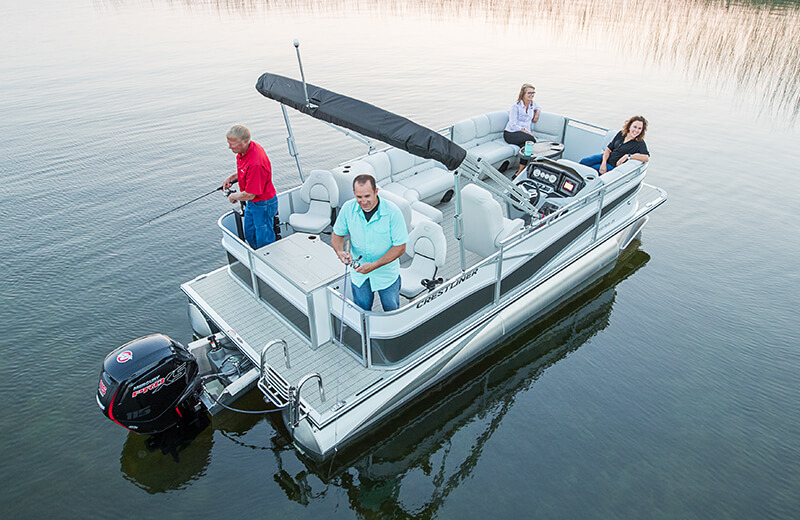 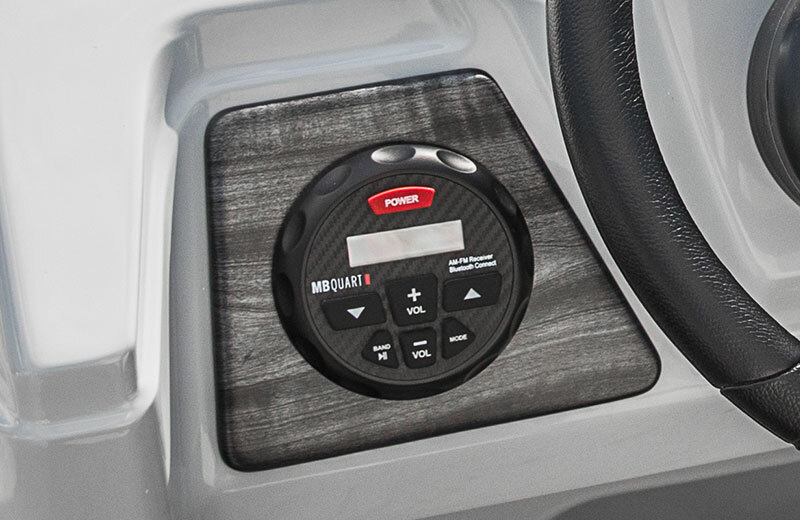 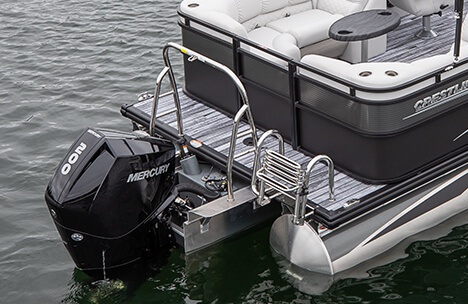 Add a unique look to your pontoon with optional black anodized rails. 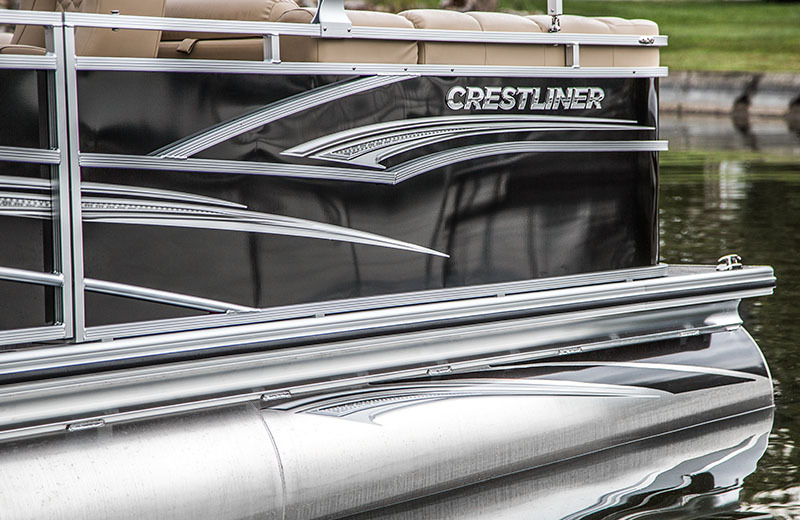 Add additional styling to the fence and tubes with the optional sport graphics. 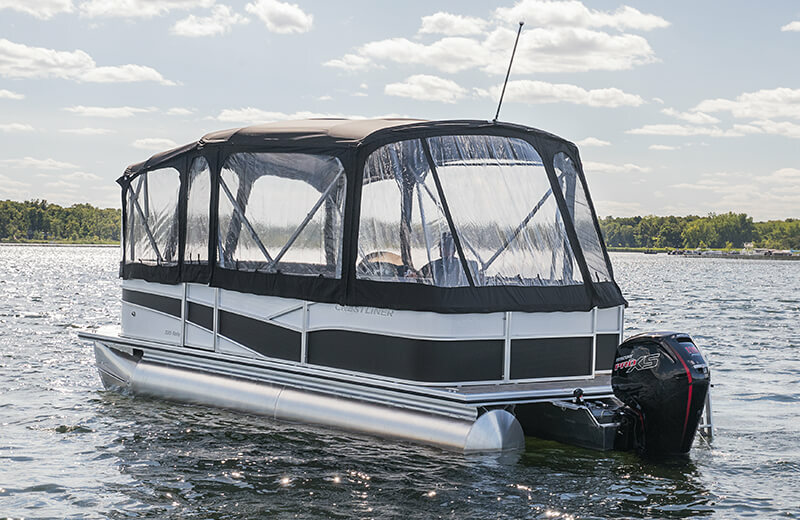 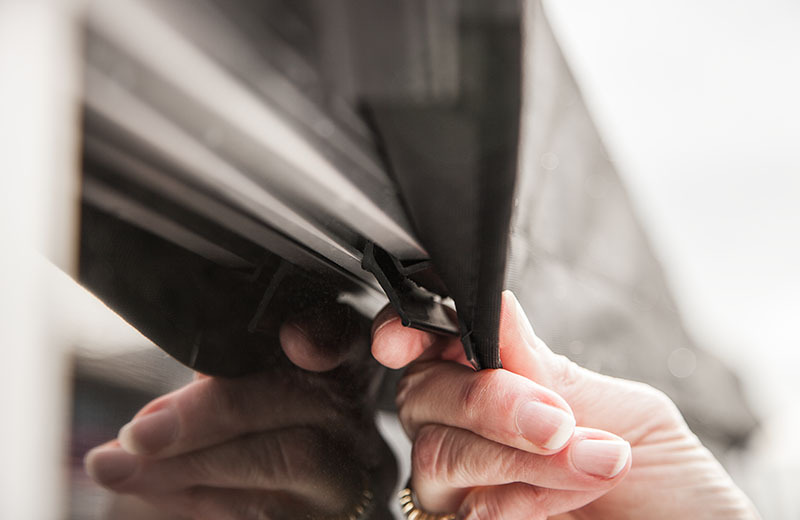 Stay comfortable and out of the elements with the optional full enclosure package. 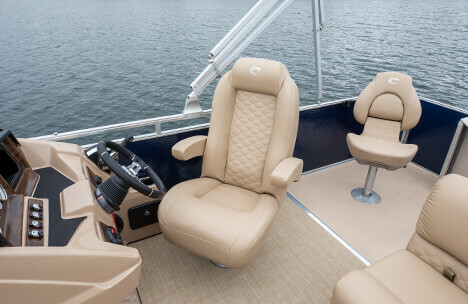 Feature information below is based on the Cruise Floorplan. 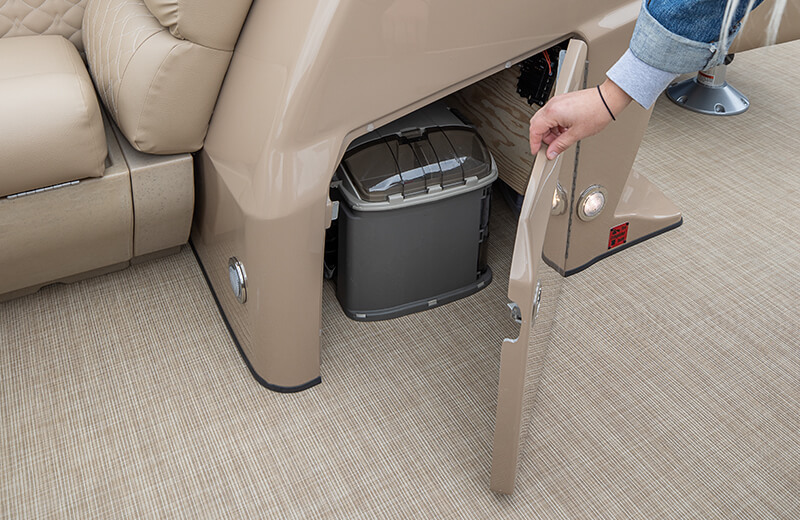 For additional floorplan options, please see above.